Fee: £360 Fee includes all equipment hire. 10% Early Bird discount available for a limited period. Recording quality sound when shooting on location is essential if time, money and hassle are to be saved in post production. It is therefore an area which cannot be compromised. This intensive weekend workshop is designed to introduce filmmakers to the fundamental techniques for recording and mixing sound for film, television, documentary and video. Aimed at those who feel they would benefit from a theoretical and practical grounding in location sound techniques, participants will be taught how to achieve the most professional results using the equipment most widely-used in the industry today. What is sound? How does it behave in interior vs. exterior environments? Understanding the recording chain for sound recording on HDV and film: Equipment; Calibration. Types of microphones: For different genres; Radio Mics; Directional Mics; Stereo recording. Participants will handle the Schoeps MK5, Senneheiser 416, and the Radio Mic 2020. Planning sound recording in a shoot: Considering locations; Equipment (including the Nagra Hardisk recorder); Sound kit. 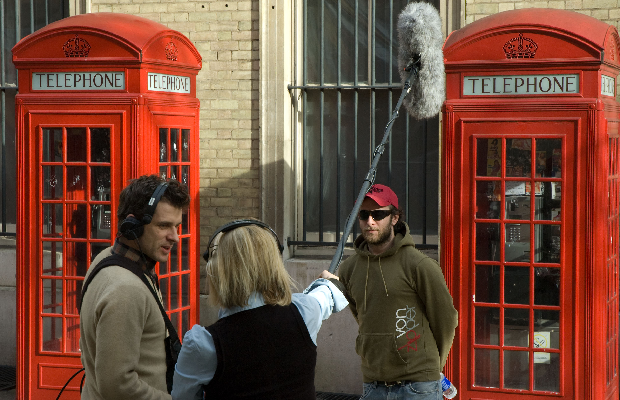 Sound Recording: Recording techniques; Boom operating; Recording to camera; Noise; Protocol. Practical recording and listening exercises: Indoors; Outdoors; Troubleshooting. Also in the Joel Cahen series, the new Audio Post-Production: Sound Design for the Moving Image. Book both courses and receive a 20% discount on the regular fees! For more details email workshops@lfs.org.uk. It was a very good balance of theoretical content and practice. I think it was a very good introduction to sound on films and especially on exteriors. I got good guidance, nice corrections when I was using the equipment wrong and explanations about what to avoid. I chose this workshop after looking into the equipment we would be using. It was all industry standard, which was fantastic. It was spot on, I would definitely recommend it to others. The course exceeded my expectations, we got a lot of information in 1 day (more than we have been taught in a year on my Masters course) and plenty of chance to get some practical experience. The course was delivered in a way that made it easy to understand the concepts and know what you needed to do. Each step was clearly demonstrated and explained and we were given opportunities to practice each practical step as we went. I really enjoyed this course, a very good balance of theory and practical learning. Interesting subjects presented well by the tutor. I am starting a production next week and I will be the sound recordist for it, so without coming on this course I wouldn't have the skills and knowledge to do so, so thank you Joel and the LFS! Joel was a fantastic teacher and had an abundance of theoretical and practical knowledge which he passed on to us in an engaging and digestible way. I have picked up some invaluable knowledge which I can apply to my work. This workshop was excellent and delivered exactly with what I needed. Joel was very knowledgeable and efficient in communicating his knowledge, whilst being receptive to people’s individual questions and needs. Joel was a good educator - he was knowledgeable, relaxed and open which lead to a very nice learning environment. Joel’s 'tricks of the trade' were very precious – only by spending one-on-one time with him could we have gained this much insight! Joel packed a lot into a couple of days. He used the time very productively. It was also easy to ask questions – the environment was very supportive. When responding to the various scenarios presented by the group, Joel made a point of emphasising the fundamental aspects of sound recording over the ‘quick fix’ solutions, which I think is really important. This workshop was just what I needed. It was very clearly delivered and Joel encouraged questions at every point. Hearing other people’s questions and views was both interesting and useful, as we were quite a varied bunch. I'm not a fluent English speaker, but everything was understood fine. The tutor explained everything so well and more importantly, we had the equipment he was referring to.